I really wish I knew about these lifts sooner! Im always wearing mine and I suggest to anyone who is self conscience about their height to give them a go because these lifts have really helped me and my confidence.. because thanks to them I am now 3 inches taller woohooooo! Also I just love the adjustable feature on these lifts because you can add and take away height as you choose.. so what I did was just gradually put on my stacks over a course of a few months and that way nobody has any suspicions at all as everyone just thinks your growing taller. I love these shoe lifts they are so good and you really feel the difference when you wear them. Even though 3 inches does not sound like a lot it really is! I actually feel a bit like zoom from The Flash right now but instead of wanting more speed I am wanting even more height! These shoe lifts are awesome… My friends have no clue how I have managed to get so tall so fast.. they just think that I am just having an ultra fast growth spurt, it so funny! Thanks so much for these things! For people thinking about buying these I thought I would share what I like and don’t like about them. -Although they are advertised as a way of giving you a height boost, I don’t wear them to make myself taller but for easing my Achilles tendinitis of which they do a great job! I now don’t suffer from any foot or heel pain anymore. -There is no faffing around when it comes to adjusting the heel height. The layer stack system makes it super easy to find the right height. I use 1 layer on each lift which is just the right amount of height that I need. -They are super durable, I have had these heel lifts inside my shoes for a couple weeks now and they don’t have any wear on them at all… so dont have to worry about keep on replacing them every other day like other insoles. -Love the fact that they are made from gel which means they stop shock from damaging my already injured Achilles. 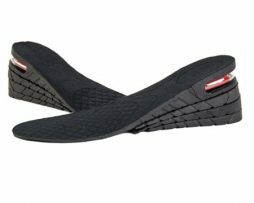 -They are pretty lightweight and so you don’t feel as though they are weighing down your shoes when you wear them. -Only one size so if they don’t fit then your out of luck. But I guess the money back guarantee makes this less of a problem. -Mine took a lot longer than expected to be delivered. Overall these heel lifts are the best things I have put in my shoes and have helped a lot with treating my Achilles pain. Would recommend to anyone thinking of buying them. Memory foam layer provides your feet with complete foot protection. 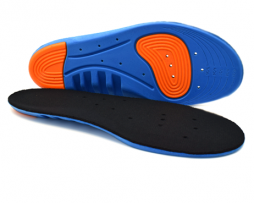 These insoles are the best choice for wearing if you are suffering from plantar fasciitis as they have been designed helps to ease weight and strain off the plantar fascia allowing you to make a faster and healthier recovery. Ideal for people with flat feet, high arches or suffer from over-pronation or supination when walking. Cups around your heel providing you with extra stability and balance reducing your risk of spraining and twisting your ankle. 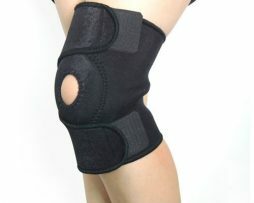 Made from high quality shock absorbing materials to help stop shock from causing damage to your lower limbs. Perfect for runners, athletes and people who are always on their feet. 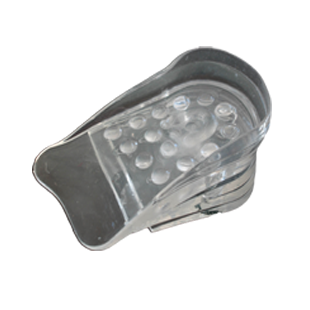 Designed to be light weight and easily fitted inside a number of different shoes.